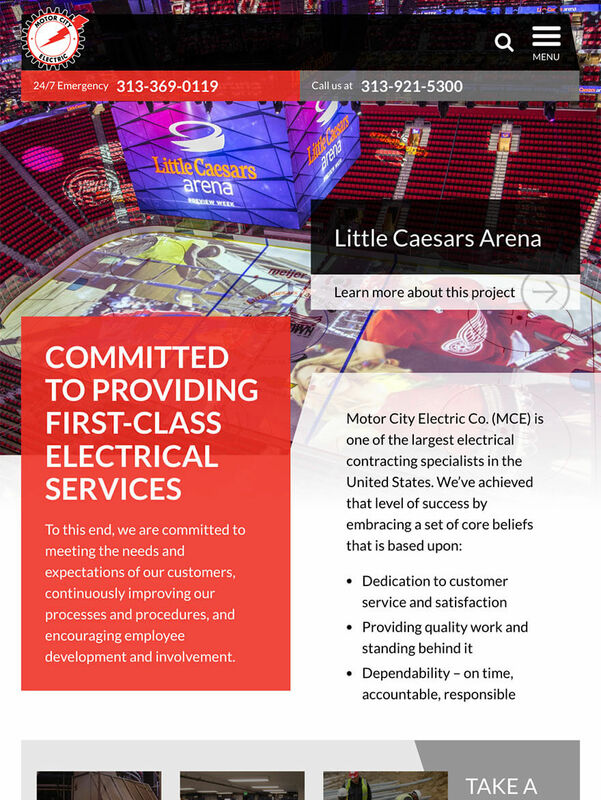 Motor City Electric (MCE) is one of the largest and most well-respected electrical contracting companies in the United States. From design and installation to operations and maintenance, their broad range of services allows for great quality electrical work nationwide. MCE approached TM with the task of turning their outdated website into a new, innovative and interactive website. The original website lacked interactive features, mobile-friendliness, overall user experience, and high-resolution photos. 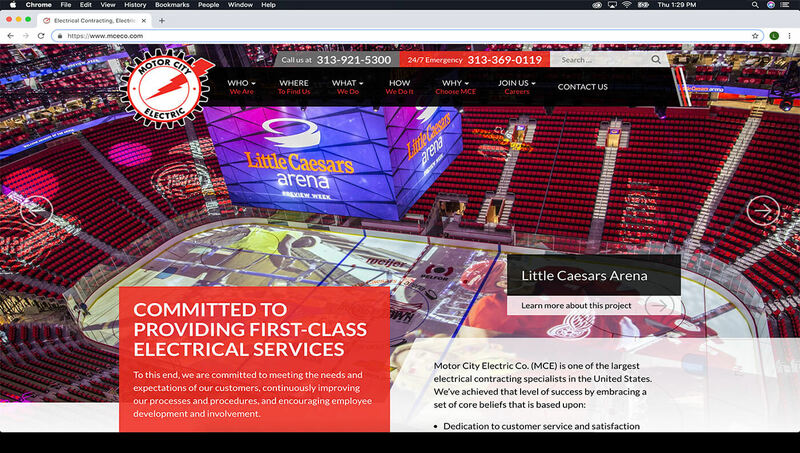 MCE wanted the rebuild to encompass these new features while representing their work, reflecting a modern style, delivering great SEO results, and providing easy navigation. TM crafted a custom and mobile-friendly WordPress website that provides simple content management and implements great interactive features for easy navigation and quick responsiveness. This content management system allows internal staff to update and modify the website and is completely optimized for great SEO performance. MCE services “The Complete Package” to their customers, so TM helped craft personalized content to reflect their strengths, brand messaging, and tone. Our talented marketing team highlighted specific electrical engineering information to brief customers of MCE’s work. Now, MCE’s What We Do page lists their electrical service capabilities and specialized teams. After clicking on a specialized team, customers can view more projects with the help of a TM customized plugin feature. The TM team also developed and integrated two custom plugins to provide a one-of-a-kind user experience, mobile-friendliness, and clean organization. Customers can view MCE’s diversity of projects, and prospective individuals can apply for a job while reading about MCE’s culture. The TM Project Gallery and Job Posting WordPress plugins perform with functionality, speed, and agility. Interactive features are necessities these days when it comes to a website that’ll stand out from the rest. TM ensured that MCE’s new design included multiple interaction areas, such as MCE’s Interactive United States Divisions map. This map allows customers to view featured MCE projects when hovering over a specific state. Since launching the website rebuild, TM continues to provide monthly website maintenance and SEO related tasks. The Project Gallery Custom WordPress plugin generates a project grid listing after adding current or past projects. 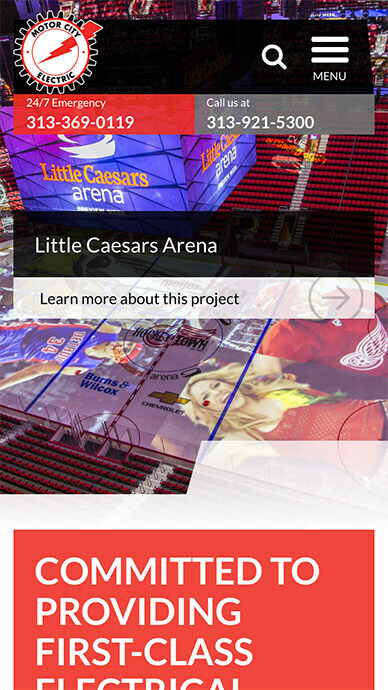 It shows the individual project listings complete with descriptions and a photo gallery. Along with search filter, customers can search exact projects are searchable by service area or company subsidiary. MCE is big and bold, and so are the projects that they tackle. They needed a design to reflect that, and reflect their time-tested but modern-facing brand. We took that opportunity to go outside the typical boundaries of containers, creating depth, and pushing the limit of classic design. To simplify the job hiring process, TM built the Job Posting Custom WordPress plugin, which allows easy-to-create job postings and automatically sends job notifications when applicants apply for positions listed. The data is emailed directly to the client and stored in a database of submissions.